Welcome to page of Carlos Restrepo Labarrera, Colombian Artist! He is born in Barranquilla April 20 1950. Graduate in the University of the Atlantic in 1973. Teacher in plastic arts. Linked to the Ministry of Education from 1977, in the area of Artistic Education. In 1980 it begins training of Guardianship and Assembly of Samples of Art in Galleries, Living rooms, Museums, Public Collections and Privates. · First 1970 Reward Annual Salon of Scrap, Gallery the School, Barranquilla. · 1974 IV. 1975, V. Mention of Honor, Salon of Young Art, Museum of Zea, Medellín. · 1976 Founder of the Group of Art “The Syndicate”, Barranquilla. · 1978 First Reward Regional Salon of Visual Arts, The Syndicate, Barranquilla. · 1979 First Reward National Salon of Visual Arts XXVII. The Syndicate, Bogotá. · 1993 Founder of “ASOCIARTE” Association of Plastic and Visual Artists, Barranquilla. · 1998 Adviser Managing Institute Culture District. · 1999 Jury Regional Scholarships of Investigation Creation. · Museum of Contemporary Art of Caracas, Venezuela. · Museum of Modern Art of Bogotá. · Museum of Modern Art of Medellin. · Museum of Modern Art of Cartagena. · Museum of Municipal Art of Cochabamba, Bolivia. · Museum of Modern Art of Barranquilla. · Encyclopedia Art in Colombia, Volume 7, Editorial Salvat. · Colombian Art., Francisco Gil Tovar, Colombia. · Colombian Artistic panorama, Eduardo Macéeles Daconte. · Forms and Colombian Color, 1990, Editorial Artic. · Investigations have more than enough Contemporary Art in Colombia, Project Pentagon, Ministry of Culture, 2000. · Artists from the Colombian Caribbean. Álvaro Medina 2000. · 1995 Workshop of Formulation of Plans and Cultural Projects, Colombian Institute of Culture COLCULTURA, Barranquilla. · 1996 First Symposium and circle of Negotiations, International Cultural Cooperation, Bogotá. · 1996 Andean workshop of curaduría, Ibero-American Organization of States, O.E.I. Cochabamba, Bolivia. · 1998 Graduate in Cultural Administration, Barranquilla. · 1973 Gallery “La Escuela”, “Bellas Artes”, Barranquilla. · 1974 Gallery Barrios, Barranquilla. · 1975 Gallery Belarca, Bogotá. · 1978 Gallery Cóndor, Barranquilla. · 1986 Equilibrium, Teatro Amira de la Rosa, Barranquilla. · 1988 Gallery Elida Lara, Portfolio “Tools” Barranquilla. · 1989 Launching of Relief Multiple “Boxes with Matches", 40/40. Museums of Modern Art of Bogotá. Medellín. Galleries: Cooperarte, Garcés Velásquez, Bogotá Elida Lara Barranquilla. Jenny Villa, Cali. La Francia. Medellín. · 1992 Gallery Arteria. Barranquilla. 1997 Gallery La Aduana. Barranquilla. · 1970 Annual Salon of Scrap, Gallery La Escuela. Barranquilla. · 1974 Barranquilla. Cali. Medellin. Museum of Modern Art of Bogotá. · 1974 IV 1975. V. Salon of Young Art. Museum of Zea. Medellín. · 1974 XXV 1978: XXVII. 1981. XXVIII 1990. XXXIII. 1992. XXXIV 1998. XXXVII. National Salon of visual Arts. · 1975, 1978, 1980, 1992, 1993, 1997, Regional salons of visual Arts. · 1975 Miniatures of Colombian art, Gallery Belarca, Bogotá. · 1975 Those that are: Gallery Barrios, Barranquilla. · 1975 14 Coastal artists, Salon Gregorio Vázquez. Bogotá. · 1976 II Salon Atenas, Museum of Modern Art of Bogotá. · 1976 to 1979 are part of the Group of the Art the Syndicate, of Barranquilla. · 1977 the Colombian Novísimos, Museum of Contemporary Art of Caracas. (MARTHA TRABA Q.E.P.D.). · 1979 I Festival of Arte Vanguard, of Barranquilla. · 1982 I Salón American-colombo, Gallery Lincoln, Barranquilla. · 1983 Coastal artist, Gallery Cóndor, Barranquilla. · 1984 Coastal artist, Gallery Elida Lara, Barranquilla. · 1985 Itinerant Posters Ecological Museum of Modern Art of Bogotá. · 1986 Art for the Gilding, Museum of Modern Art of Bogotá. · 1987 Collections of Sample of End of Year. Gallery of Elida Lara, Barranquilla. · 1988 Decade of the '70. Gallery La Escuela, Barranquilla. · 1988 Art of Today in the Coast, Gallery La Francia. Medellín. · 1989 Festival of Art, Barranquilla. · 1994 I Collections to “ASOCIARTE”, Theater Amira de la Rosa. Barranquilla. · 1994 New Still life, Gallery Arteria. Barranquilla. · 1995 II Collections of Sample "ASOCIARTE", Theater Amira de la Rosa, Barranquilla. · 1996 Espacialidad in the Art, Confamiliar, Barranquilla. · 1999 National prizes, Museum of Modern Art, Cartagena. Itinerant. · 2000 Project Pentagon, Ministry of Culture, and Itinerant National. · 2000 Contemporary art of the Colombian Caribbean. Group The Syndicate. House of the Americas. Havana Cuba. Itinerant for the Countries of the area of the Caribbean. 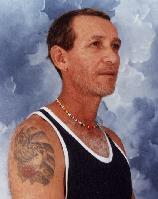 2000 Image Regional Luis Angel Arango. Bogotá. National Itinerant for the Cultural Centers of the Bank of the Republic.